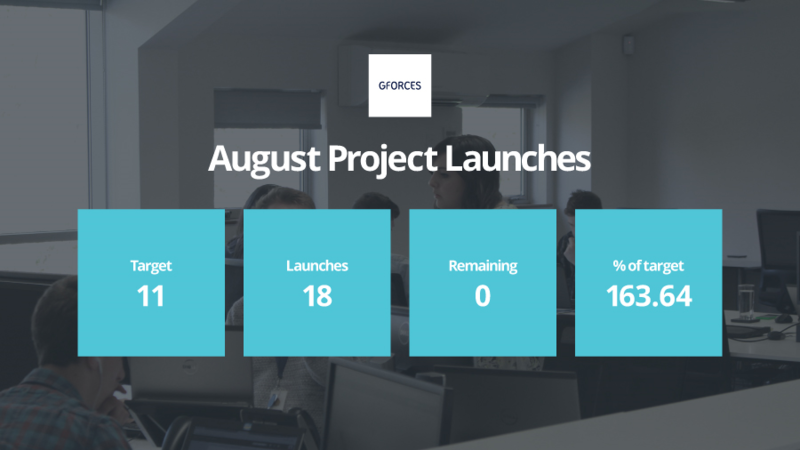 August has seen us making websites while the sun shines. For most, August is all about embracing the final bank holiday of the year, jetting off to even warmer climes, or counting down the days until the kids are back to school. But here at GForces, our focus as always is delivering our state-of-the-art website solutions for our automotive clients. This month, eighteen new NetDirector® powered sites made their debut. Here are our August highlights. One of our first launches in August was for Meridien Majestic, who along with Meridien Milano and Meridien Modena, make up the Meridien Group, one of our existing clients. Having previously shared the Milano website, the new dedicated platform of their own will increase their reach and audience impact, especially with the fully integrated NetDirector® CAP Valuations and stock management tools now at their disposal. JJ Cookson Ltd is a family based company who has served the Macclesfield and Cheshire area for over a century. They aim to provide the most approachable, genuine, and open service to their customers possible, and we’re helping make that possible through the built-in NetDirector® Codeweavers finance service and a whole host of other features. As a new client to GForces, we are especially grateful to have been given full marks for customer satisfaction from them. Another set of full scores came from Aston Vauxhall, the UK’s leading Vauxhall main dealers and VXR specialists based in Leicestershire. As existing clients, their feedback is incredibly valuable, and crucial in continually improving our offering to them. It’s also what has allowed us to create a custom website for them, based on our latest platform, with integrated NetDirector® Service Booking and our innovative NetDirector® Vision app for easy vehicle asset management and enhancement. Parks Motor Group are also existing clients, and they were looking to improve their digital offering through a complete User-First redesign. From bespoke internal page builds, to revamping the look and feel of the website, they now have a next-generation platform that meets all their future needs. Taking on both a full User-First migration, and a full site redesign, Wessex Garages operate in Wales and across the South West. With franchises for Abarth, Dacia, Fiat, Hyundai, Kia, Nissan, and Renault, we’ve helped bring they’re entire offering, including the wide range of approved used vehicle on offer, under one digital roof. Hartwell PLC has been trading successfully for nearly a century, and has seen considerable growth and continued success throughout their history. We have deployed a User-First upgrade with a full redesign to help provide their customers with an exceptional browsing experience. To do this, we’ve also integrated a wide range of additional NetDirector® services and products, including Enquiry Manager, Call Manager, and Online Payments. August also saw our first Ford Editions launch in South Africa, via our Global Partner Programme with Compatible. Vereeniging Auto is a family owned, one-stop Ford dealership in Vereeniging, South Africa. They have grown from a small repair shop with a single petrol pump in 1919 to premier Ford retailers in the region. We were especially grateful for the high praise we received from them for the overall final product and the training we provided. Hot on its heels was our second Ford Editions launch in South Africa, for Numbi Auto, again through our Global Partner Programme with Compatible. The family based business is proud to be a firm fixture in their regions of operation, where they have earned an outstanding reputation for excellent Ford products and customer service. Thomas’s Group have two existing sites with GForces, and have doubled their offering by adding West Midlands Hire and West Midlands LDV. The family based business has been serving the Smethwick area for over four decades, and act not only as rental company, but also a workshop, and commercial vehicle sales facility. From family-based businesses making the most of our offering, to even heading abroad, our August roundup echoes many of the things we associate with the last official month of summer. But to coin the song, summer has come and passed, and we’ll bring you another monthly roundup when September ends. Thanks your post Having previously shared the Milano website, the new dedicated platform of their own will increase their reach and audience impact, especially with the fully integrated NetDirector® CAP Valuations and stock management tools now at their disposal.